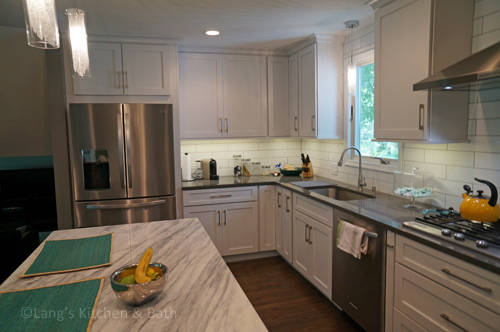 The transitional style of this kitchen design offers a sleek and comfortable space that combines the best of the traditional and contemporary styles. 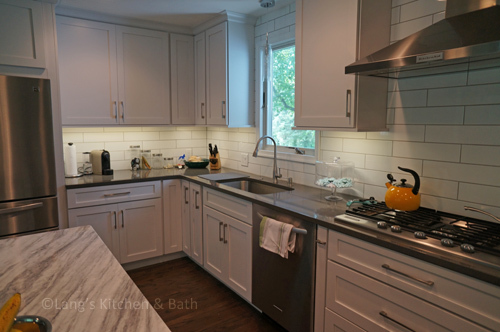 The all white kitchen includes shaker cabinetry, quartz countertops, and ceramic subway tile backsplash. 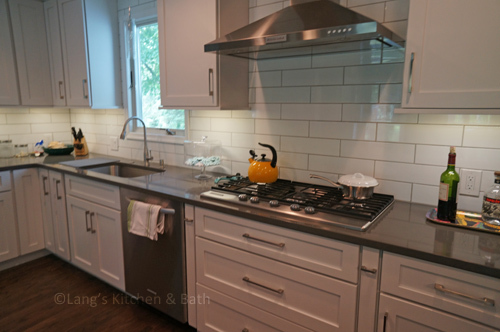 Stainless steel appliances and a stainless chimney hood complete the bright kitchen design.